How to Unroot Galaxy S3 on Mac OSX! - Complete Stock ~ AndroidRootz.com | Source for Android Rooting, ROMS, Tricks and More! Here is a step-by-step tutorial showing you how to completely unroot your Samsung Galaxy S3 on a Mac OSX computer. Recently Heimdall has been updated to support all Galaxy S3 variants so now using the Heimdall Mac application we can easily flash stock tar files! Once this process is completed you will be able to send your phone back to your carrier/manufacture without them ever knowing your "modified" your phone. This guide will support just about ever Galaxy S3 variant including: GT-i9300, T-Mobile SGH-T999, AT&T SGH-i747, Verizon SCH-i535, Sprint SPH-L710, and Bell/Telus/Rogers SGH-i747M. If your running on Mac OSX 10.6-10.7 this MAY NOT work for you! NOTE! This will WIPE EVERYTHING off your internal phone memory, back it up!! 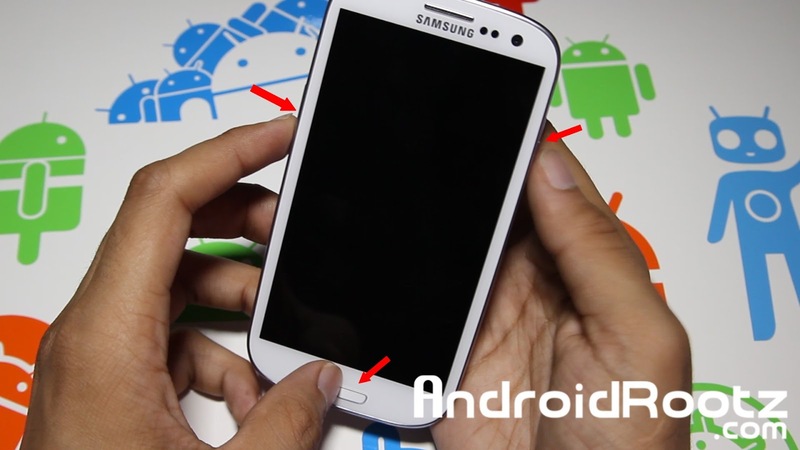 If you are going to send your Galaxy S3 back to your carrier/manufacture you FIRST need to reset flash/binary counter! 1. Enter your phone into Download Mode. Turn off your phone then press the volume down, power and home center button. Once your phone vibrates ONLY let go of the power button. 3. Download/install Heimdall and Samsung Kies to your computer using the links below. Note: Both applications require you to restart your computer!